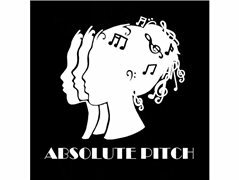 Absolute Pitch are a vocal harmony group and are looking for a new Musical Director/Coach to grow and develop the group. This is to support us with song selection, arrangment, harmonies and vocal coaching. This is a paid position and will be ideally for 2 hours on Tuesday evenings, once a fortnight or possibly once a month, depending on your own availability. We rehearse near Taunton, Somerset. Do you, or someone you know, fit the bill? Please PM us for more information.